Take advantage of your wall space by turning it into storage. 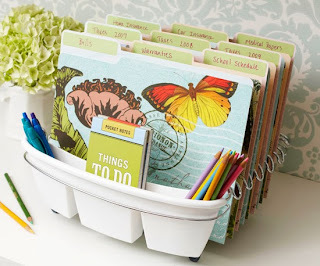 Hang clipboards, magnetic boards, and plain containers around the room. 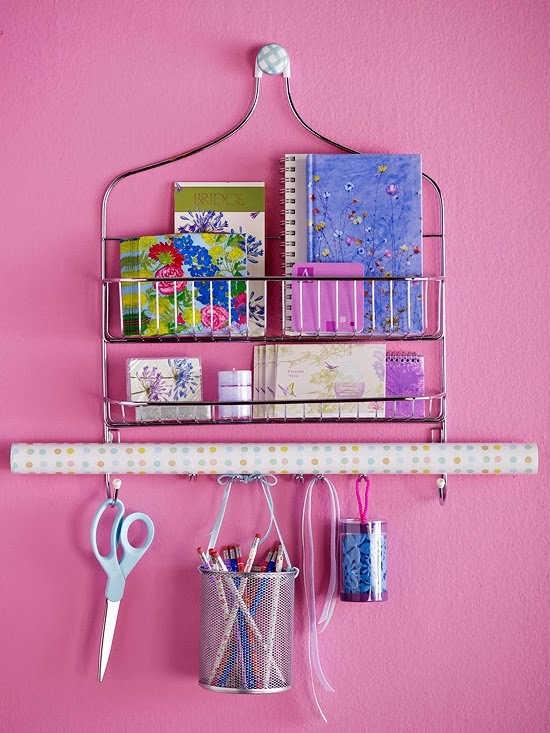 Each item is inexpensive and available at office supply stores. 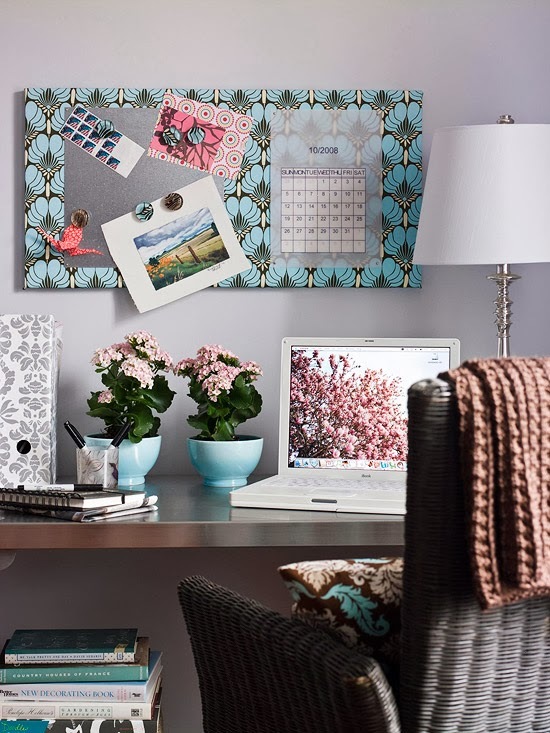 Loose papers and small items are the biggest challenges in a home office. Corral papers and mail in an unused bath cabinet mounted to the wall. 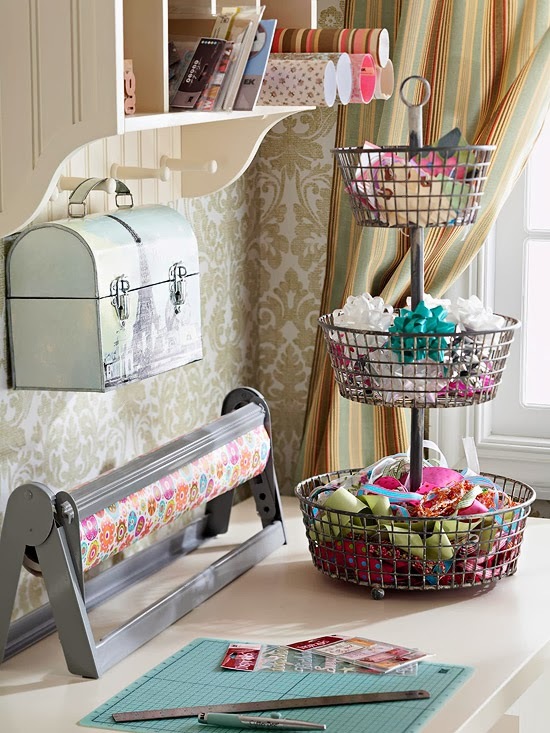 The pegs offer extra space for hanging lunch boxes or clipboards. Store small items, such as labels, note cards, and ribbons, in a three-tier basket. A sturdy metal spring can find new purpose as an office organization aid. 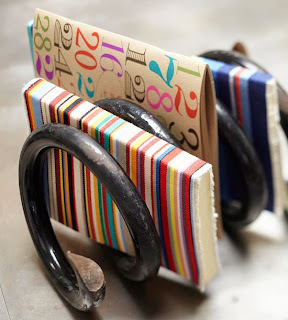 Place small notebooks or mail between the coils to keep supplies in order. Take your office anywhere -- to the couch, dining room table, or deck -- with this tote-able solution. Outfit a dish drainer with pretty file folders, and use the utensil holders to organize pens, pencils, and small notebooks. Slip the dish drainer into a cabinet when not in use. 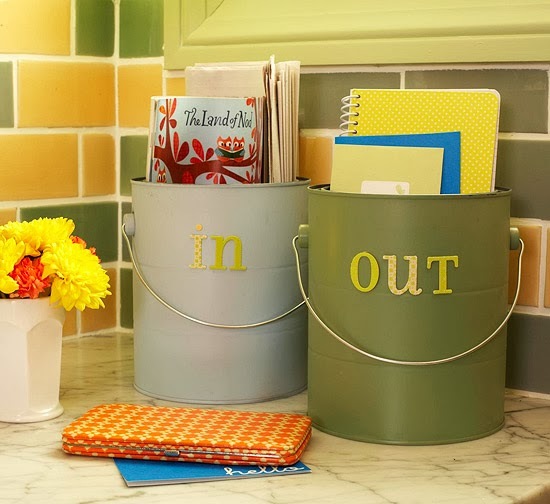 A two-bucket system keeps incoming and outgoing papers perfectly organized. Paint the outside of empty paint cans (available at crafts stores) and label with stickers as an "in" bucket and an "out" bucket. 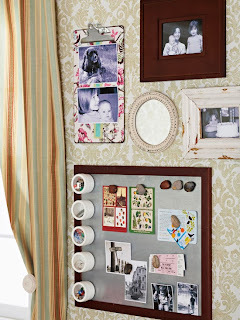 Don't spend money on a corkboard -- instead turn an artist's canvas into a practical memo board. For a magnetic surface, attach a sheet-metal square. Hang it above your desk to keep important items visible. 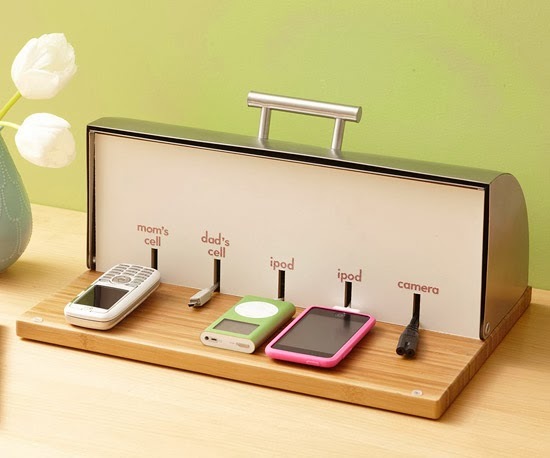 Convert a bread box into a charging station for small electronic devices. Just drill a hole in the back, insert a rubber grommet, and thread the power-strip cord through. Cut small slits in 1/4-inch medium-density fiberboard (MDF) to create a divider that conceals the power strip and chargers behind it. Turn an old cart into a mobile office. Lower shelves can store notebooks and boxes for supplies and paperwork (try using a vintage suitcase to corral everything). Plus, the cart can be pulled up to an armchair or couch, and the top surface can be used as a laptop workstation. Create a magnetic memo board out of a cookie pan. 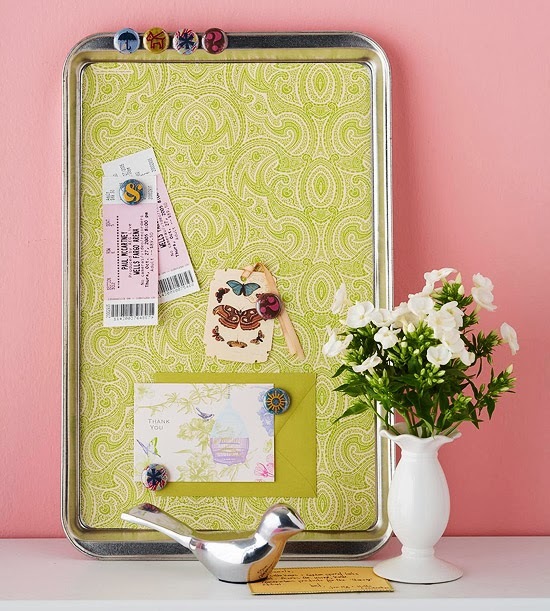 Just add magnets and important papers, and your memo board is ready for business.